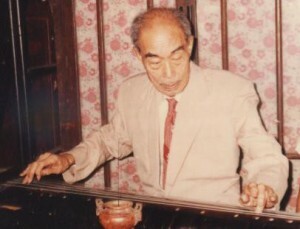 Recieved an email from Mrs. Li’s friend who studied taichi and guqin when they were in Guangzhou. She send all the links about their master, Yang Xinlun, （杨新伦). Will have these article translate in the next couple of weeks. Listening to Master’s Yang’s playing on the Qin and realised how stupid I was when I was young, thinking it was the most boring music ever.. (then again, I was only about 5/6). Now listening to them, just amazed how Master Yang interpret this over 3000 years ancient instrument, how simple the music is but how much control he has over his mind, fingers.